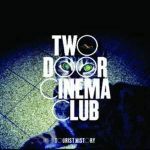 Far and away my favourite album of 2010 so far. The first three singles are all so strong, but there are plenty of other songs which would have made great single choices too. Every track is great! Heerlijk album. Het wordt tijd dat deze band nu eens doorbreekt. Agree with bluey. Not a dud song in sight, this deserved all of its 18 weeks on top of my albums chart. THE album of 2010!<br><br>AND IT'S CHARTED!!!!!!!!!!!!!! It's alright for a debut album, but some songs are quite boring anyway standouts for me are Undercover Martyn, What You Know & Cigarettes In The Theatre, i was expecting something great when i first started listening to this by the standards a couple of members had set for them (they know who they are :P) I finished the album disappointed though.